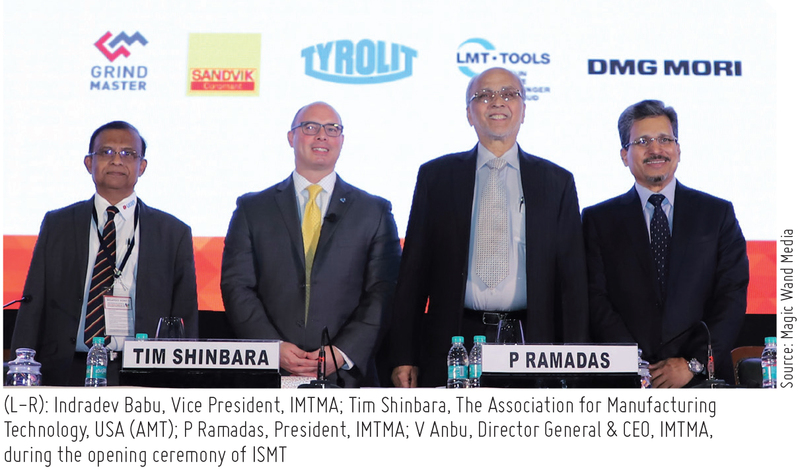 The golden anniversary edition of IMTMA’s flagship event for the metal cutting industry, IMTEX turned out to be exactly what was expected of it. 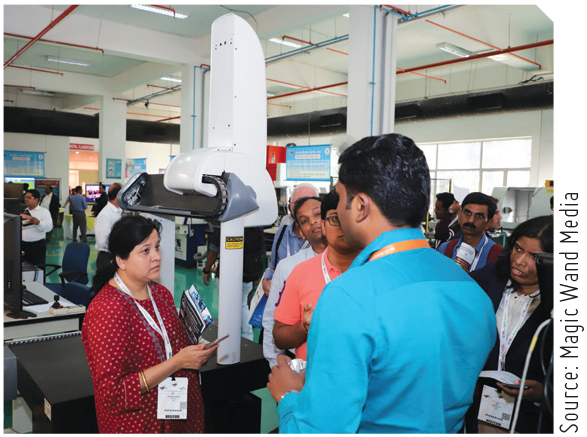 Held at its regular venue, the Bangalore International Exhibition Centre (BIEC) from January 24 – 30, 2019 in Bengaluru, South and South East Asia’s apex machine tools exhibition was unparalleled in all aspects along with being bigger and grander than ever before. Exhibiting the latest trends as well as technological refinements from India and other global players, the event had Tooltech 2019 as its partner that ran parallel to it and showcased machine tool accessories, metrology and CAD/CAM cutting tools, tooling systems and current trends in the tooling industry. The mega dual event, which took place in a sprawling total area of 77,500 sq mt, housed 1,222 exhibitors from 26 countries and seven country pavilions and attracted 91,446 visitors from a wide spectrum of manufacturing and ancillary industries including key decision and policy makers as well as industry captains keen to source latest technologies and manufacturing solutions for their product lines. 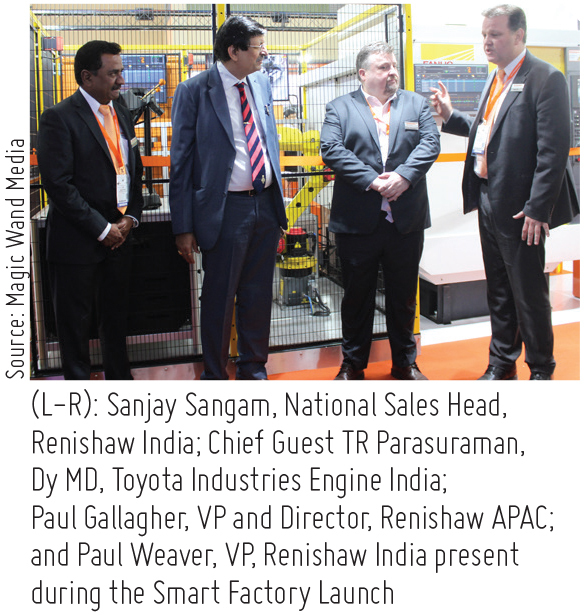 IMTEX 2019 & Tooltech 2019 witnessed an unprecedented show of solidarity from the manufacturing community at its inauguration. The veterans proudly reflected on how far we, as a nation, have reached in the global manufacturing landscape and deliberated on filling the gaps to make wide strides to reach our goals. Shri HD Kumaraswamy, Hon’ble Chief Minister of Karnataka, did the honors of inaugurating the show in the presence of Shri RV Deshpande, Hon’ble Minister for Revenue, Government of Karnataka; Shri KJ George, Hon’ble Minister for Large & Medium Scale Industries, Government of Karnataka; Vikram Kirloskar, Vice President, Confederation of Indian Industry (CII); and Ram Venkataramani, President, Automotive Component Manufacturers Association of India (ACMA). The mega dual event, which took place in a sprawling total area of 77,500 sq mt, housed 1,222 exhibitors from 26 countries and 7 country pavilions, and attracted 91,446 visitors. 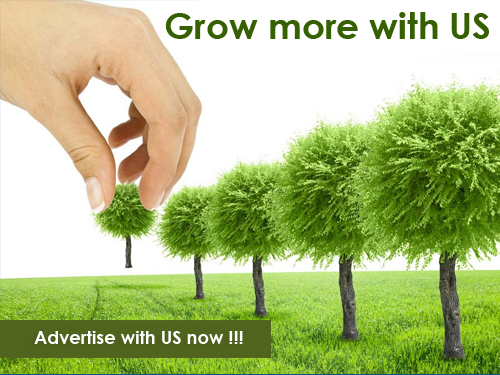 "We are at the beginning of a promising year for the Indian economy. India’s GDP forecast for the current fiscal is 7.3 to 7.4 percent growth. I am sure that in the forthcoming financial year 2019-2020, we will see more vibrancy and robustness," said P Ramadas, President, IMTMA. "Manufacturing is witnessing good growth in the country. The industry now needs to tap the various opportunities which are rising in defence, aerospace and other sunrise sectors. This will further open doors for research and innovation. This will also supplement the industry’s export potential besides strengthening ‘Make In India’ and taking manufacturing sectors contri-bution to 35 percent of the country’s GDP," he added. 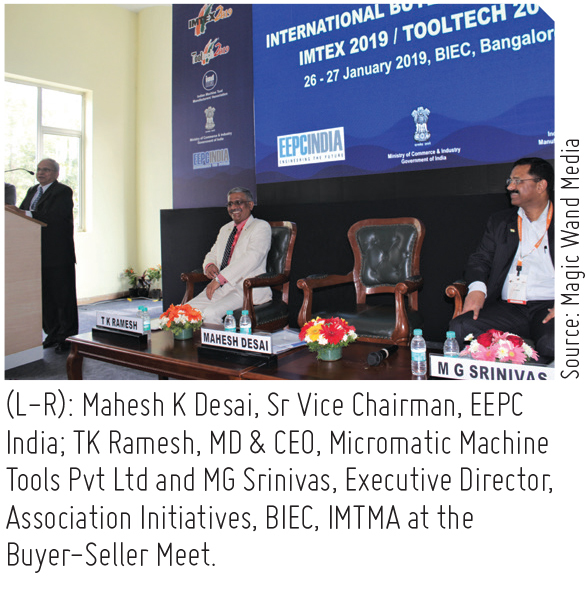 Commending the machine tools industry on its growth, Shri RV Deshpande, said, "I have been very closely associated with IMTMA for the past few years. I applaud the association’s efforts for taking the Indian machine tools industry to the global height. Almost up to 1995, we did not have any big automotive manufacturer in the country. Today, we have so many. This has been possible only because of the growth of the machine tools industry. In Karnataka itself almost 120 companies are engaged in machine tools manufacturing." Seconding him, Kirloskar noted, "The automobile and the auto industry both are globally expanding and the high-quality products are possible because of our machine tools industry’s development." He cited three major areas — Energy Security, Environment and ‘Make in India’, where a long-term policy is needed and put forth his request to the union government to frame them. 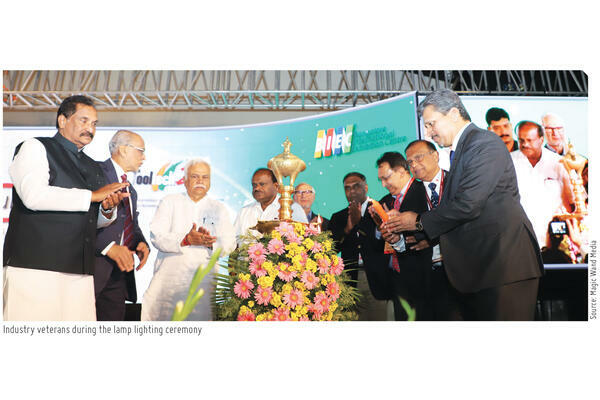 Clearly proud to have IMTEX in the state of Karnataka, Shri Kumaraswamy said that he is glad to host all national and international guests in the state. "Today, the entire world knows Bangalore. This exhibition is of great significance to the Indian machine tools industry. I am glad to inform that Karnataka is the first state to declare the aerospace policy. 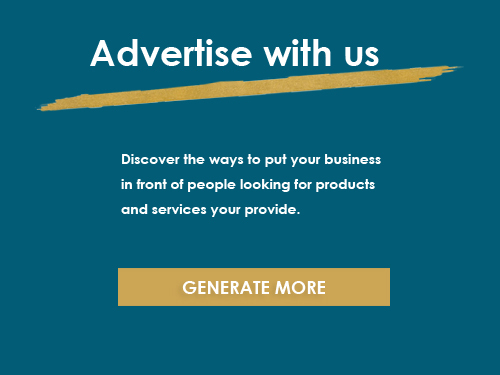 We are working on providing a dedicated space to set up this industry. We are also working on setting up our exhibition center close to the airport." 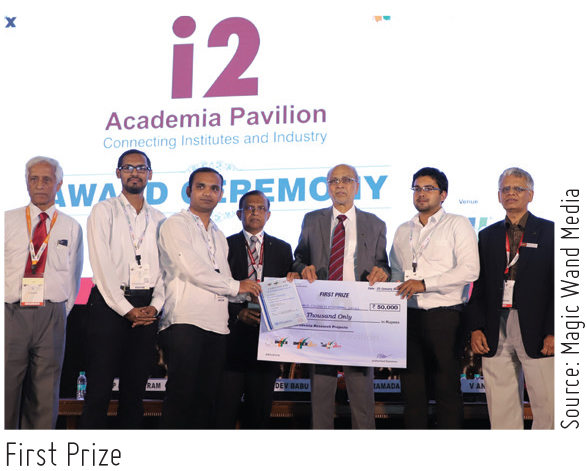 Seventeen institutions from Bangalore and 33 from outside, including two IITs, took part in the i2 Academia Pavilion at the show. 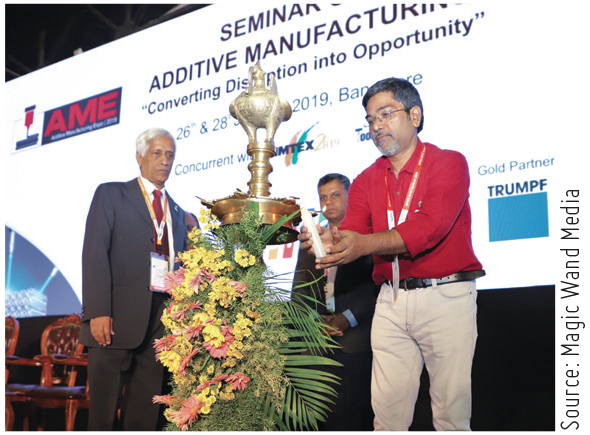 In conjunction with IMTEX 2019 & Tooltech 2019, the 8th International Seminar of Machining Technologies (ISMT) was held a day before the week-long metal working event with ‘Powering Manufacturing Growth and Competitiveness’ as its theme. “The challenge for manu-facturers is to decide on which technology to pick up and how to use it. Out of several modern technologies, perhaps the Augmented Reality will witness adoption at a highly accelerated scale of 40.29 percent. Technologies like Additive Manufacturing and Generative Design will change the entire traditional approach of designing and manufacturing products,” noted Tim Shinbara, The Association for Manufacturing Technology, USA (AMT), in his keynote session. Some interesting topics that renowned speakers from across the industry spoke on included: ‘New features for large part machining’ by DMG Mori, Germany; ‘Designing for Additive Manufacturing’ by Renishaw plc, UK; ‘Connected Solution for Digital Machining’ by Sandvik Coromant, India; and ‘Overcoming Challenges in Difficult-to-Machine Materials’ by Toshiba Machine, Japan. In a bid to forge the highly crucial Industry-Academia bond, IMTMA called upon academic institutes to display their innovations and closely gauge industry requirements. Seventeen institutions from Bangalore and 33 from outside including two IITs took part in the i2 Academia Pavilion at the show. Although most of them displayed their R&D projects through posters, a few gave live demonstrations of their innovations. A seminar was arranged to fami-liarize Indian manufacturing industry with the techno-commercial advantages of AM. The topics covered included: ‘Overview of AM’; ‘Fused Deposition Modelling, Multijet Modelling and CLIP’; ‘Design for AM (Direct and Hybrid)’; ‘Direct Metal Laser Deposition / Hybrid Manufacturing Laser Metal Deposition’; and ‘Tailoring Properties of Parts made by Additive Manufacturing’. A guided tour to AM Pavilion and Factory of the Future followed. Following its tradition of encouraging ideas, innovations and vision in Indian machine tool sector, FIE Foundation awarded companies for their path-breaking innovations at IMTEX 2019 & Tooltech 2019. Instituted in memory of Vinod Doshi, one of the founding fathers of IMTMA and an outstanding industrialist, this year’s IMTMA - Vinod Doshi Premier Outstanding Entrepreneur Award was presented to Rajendra Jain, Managing Director, ITL Industries for his entrepreneurial excellence and unique leadership style. 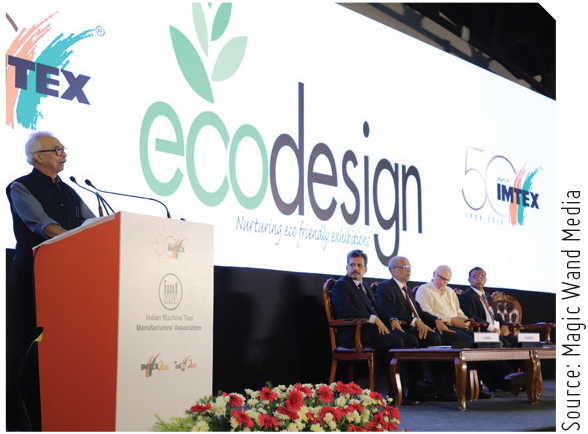 In order to promote sustainable lifecycle practices in exhibitions that balance quality, environment and economics with compliance to health and safety obligations, IMTMA, at IMTEX 2019, constituted the Eco Design Award. The award considered environmental and cost-effective design, reduced resource consumption during booth construction, reduced pollution during set up, minimal waste post use, and re-use of the materials. The long list of awardees included Dahanukar Machine Tools, Exim India Pvt Ltd, Perform Coat Europe AG, Dynascan Inspection Systems Company, Hawe Hydraulics Pvt Ltd, and Pratap Tex Chem Pvt Ltd.
Industry players who have once participated in IMTEX know its reach and are aware of the extent of opportunities that make way through the medium. “The latest edition yet again offered us an ideal ground to interact and engage with present and prospective customers who visited our booth. 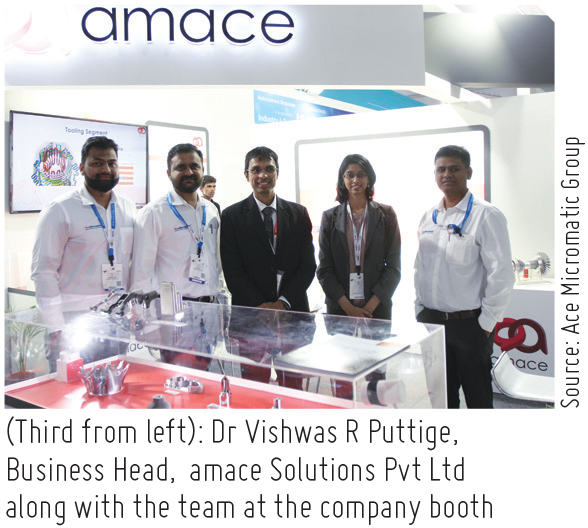 This helped us in understanding the market needs for us to offer better solutions and services to our customers, prospects and industry partners,” said Pramod Kore, General Manager, Service & Tech Support, Yamazaki Mazak India Pvt Ltd.
“Each year, IMTEX pushes us towards the next level of performance and success, consistently being there as a guiding force,” said P Jadeja, Chairman & Managing Director, Jyoti CNC Automation. Renishaw Metrology Systems Ltd was a proud participant at Additive Manufacturing (AM) Pavilion and showcased RenAM 500Q, its multi-laser AM system featuring four high-power 500W lasers. Also sharing the space was Imaginarium India whose Director, Nishant Shah, ensured that the visitors became aware of the importance of AM in prototyping in today’s fast-growing development cycles. Carl Zeiss India (Bangalore) Pvt Ltd exhibited its PiWeb, a scalable IT solution for quality data management. To encourage ideas, innovations and vision in Indian machine tool sector, FIE Foundation awarded companies for their path- breaking innovations at the event. Blaser Swisslube India, through its Liquid Tool, showed its prowess in metalworking fluids and highlighted Synergy 735, a crystal-clear, innovative, water-miscible and oil-free metalworking fluid. On the other hand, Zavenir Daubert India Pvt Ltd too showcased its stable of eco-friendly and metalworking fluids that included neat and water-soluble cutting oils and rust preventive solutions. 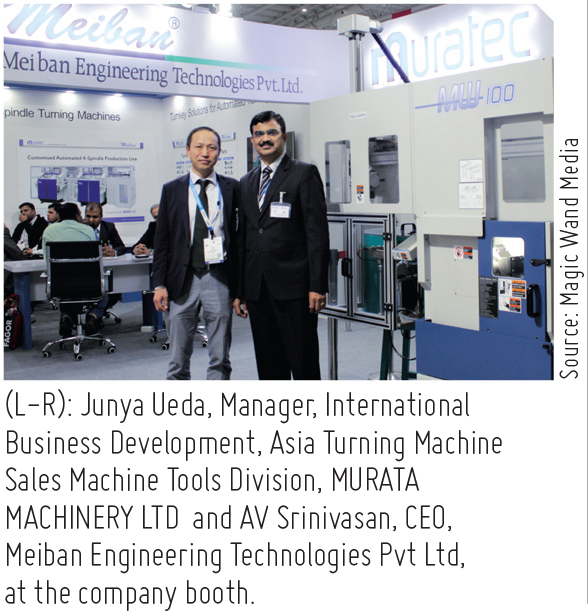 According to Shuhei Matsui, General Manager – CNC Systems, Mitsubishi Electric India Pvt Ltd, “IMTEX is an ideal platform for CNC manufacturers to showcase advanced technological products and interact with various machine tool builders as well as end-users.” The company displayed its latest product line-up of controllers consisting M80, M800, C80 and E80 along with motors and amplifiers. Another specialist in precision CNC rotary tables and gear hobbing solutions for machine tool applications, UCAM Pvt Ltd, displayed 22 varieties of tables, all of which were new or improved. The new MINT series of tables called the URX and URXH series have new and vastly improved features. 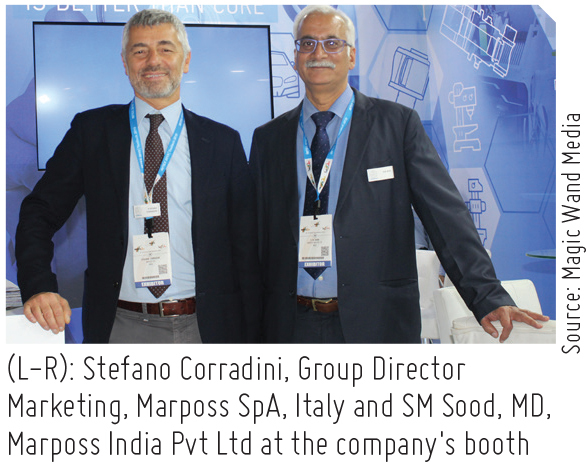 In order to showcase new technologies for advanced manufacturing, Marposs India Pvt Ltd had a dedicated booth in the exclusive Industry 4.0 pavilion at the show. 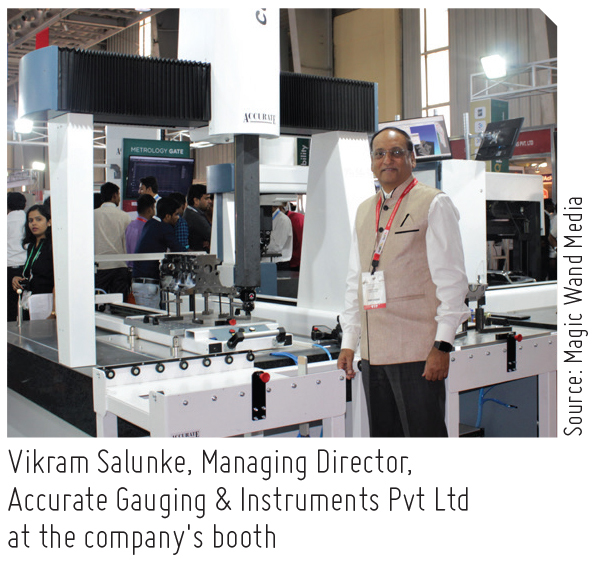 The Ace Micromatic Group displayed 35 CNC machines at its over 20,000 sq mt stall, which were a mix of high technology and innovative products. A few were import substitutes and the new launches included CNC machines for alloy wheel machining, hard part turning, graphite machining, multi-pallet HMCs, high speed drill tap centers, twin spindle lathes and VMCs, plus its new range of SPMs. At IMTEX 2019, Jyoti launched seven new machine variants covering different clusters and segments. A new chucker with autoloader was launched that reduces human interface with cost-effective automation solution. Under VMC series, a smaller version of VMC with NVU features was displayed. A compact version of VTL series now completes the range. The MX 9 NVU is another 5-axis universal machining center. Innovating constantly, Lakshmi Machine Works Ltd (LMW) launched a 5-axis simultaneous VMC, the JU 60 that provides high speed and accuracy in complex part machining with a built-in spindle of 15,000 rpm. 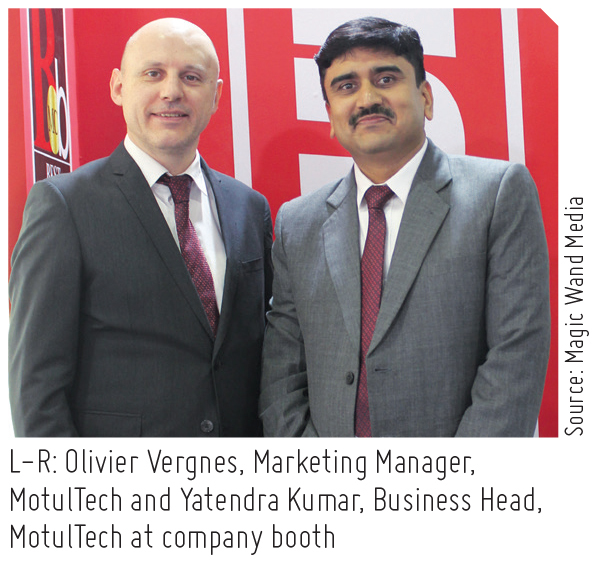 Mastercam India found IMTEX 2019 the best place to launch its quarterly India Newsletter that will focus on the company’s success stories with its customers. It also ran special offers at its booth to encourage SMEs to have Mastercam as their preferred CAM solution. The company showcased the most recently released Mastercam 2019 along with the support for diverse metrology hardware through the Verisurf product range. Showcasing its new range of products for the Aerospace industry under the sub brand VP Aero, VP Industries launched a wide range of cutting tools including solid carbide round tools and indexable tools. MotulTech metalworking fluids, SAFKOOL 6220 and SAFKOOL 6420, mainly used in machining processes including turning, milling, threading, grinding, gearing, boring, drilling and sawing, were highlighted. While the latter is a high-performance, semi-synthetic soluble concentrate suited for machining processes with a very high cooling power, the latter is a soluble concentrate specially designed for processes requiring a minimum water foam of TH 5 - 80° F.
Francis Klein & Co. Pvt Ltd, among its wide range of products, also displayed deburring and superfinishing machines from Nagel Special Machines which have been developed in-house for the Indian two-wheeler industry. S&T Group showed its latest VMC, VF 1000 with a cutting speed rate of 20,000 mm/min which makes the machine suitable for high-speed machining. 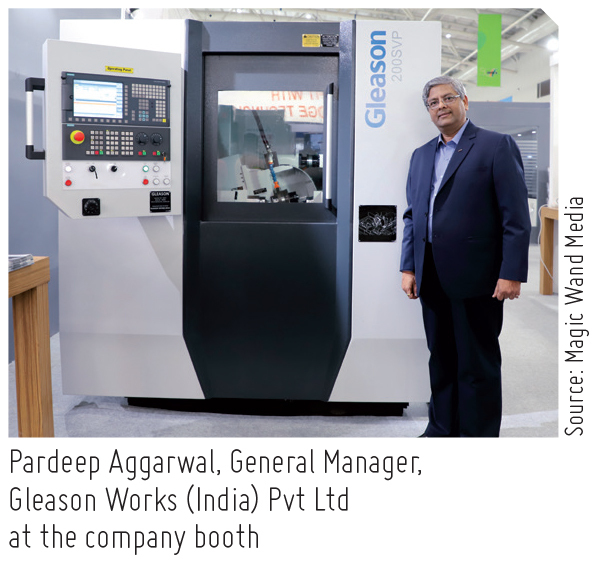 From its gear manufacturing systems, Gleason Works India focused on its brand-new 200SVP Gear Shaving Machine, latest developments in workholding, cylindrical and bevel gear manufacturing tools (Pentac® Mono RT), Gleason Connect + Smart Glasses for remote service support and KISSsoft gear and transmission design software. 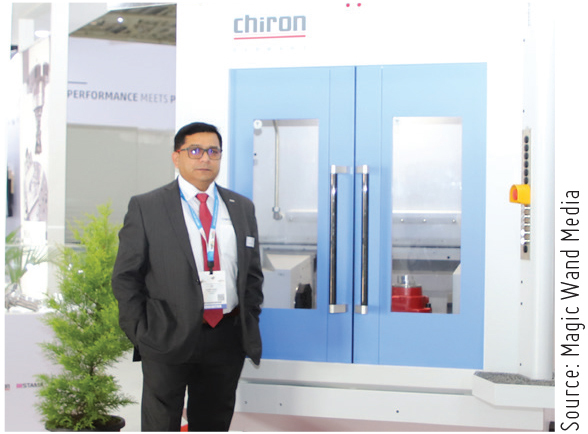 Chiron India Machine Tools Pvt Ltd displayed its high-precision, high-productive Twin Spindle VMC. The DZ 12 W model is equipped with 2x32 HSK A50 Automatic Tool changer and Fanuc 31iB5 CNC system. TaeguTec India had over 50 families of products on display at IMTEX 2019 which included around 700 tools and solutions spread across turning, milling, parting, grooving, drilling, and special tooling applications. 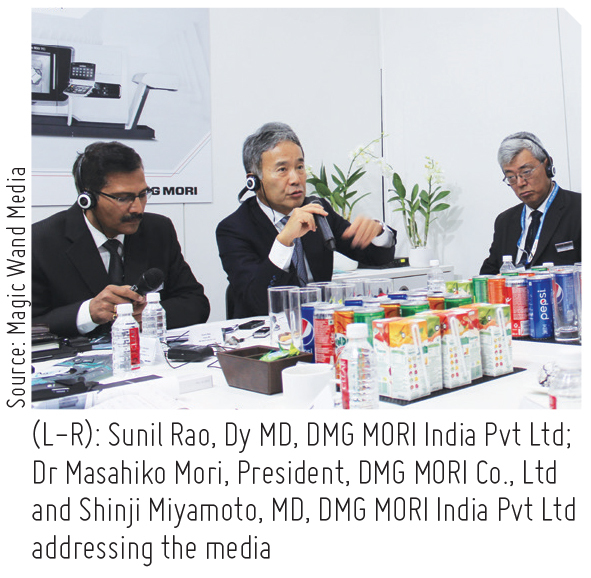 DMG MORI India Pvt Ltd showcased its 3rd Generation DMU 50 that has harmonizes the modern appearance of the design with user-friendly operation. It achieves a unique degree of precision of less than 6?µm that is unbeatable in this segment. IMTEX 2019 was the last edition of the metal cutting exhibitions that gained an overwhelming response from the global manufacturing industry and attracted exhibitors and visitors from far and wide. The next edition of IMTEX, going by its tradition, is slated to be yet bigger. It will be held in 2021 at the Bangalore International Exhibition Centre. The 8th International Seminar of Machining Technologies (ISMT) was held with ‘Powering Manufacturing Growth and Competitiveness’ as its theme.